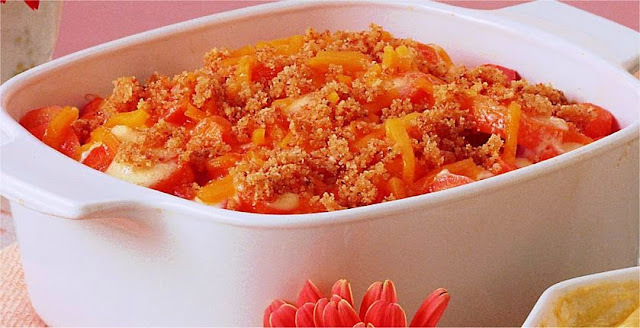 Carrot casserole is a traditional Finnish Christmas food. It is made mainly out of carrot purée and rice. 1. Heat the milk in a pot. Add the rice and cook it and stir at the same time for 15 minutes. Let it simmer for 40 minutes. 2. Add the the carrot purée, egg and spices to the porridge. 3. Pour the mixture into a greased dish, which volume is at least 2 litres. Sprinkle the breadcrumbs on the surface. 4. Cook in 200 ⁰C for 50-60 minutes.